If you are a frequent traveller chances are that you already know that nothing gets better than travelling during off season. Visiting a destination during off season has more advantages than any other seasons. The same applies to Turkey. The whole world wants to flock to the country during the typical summer months. Let them do so. 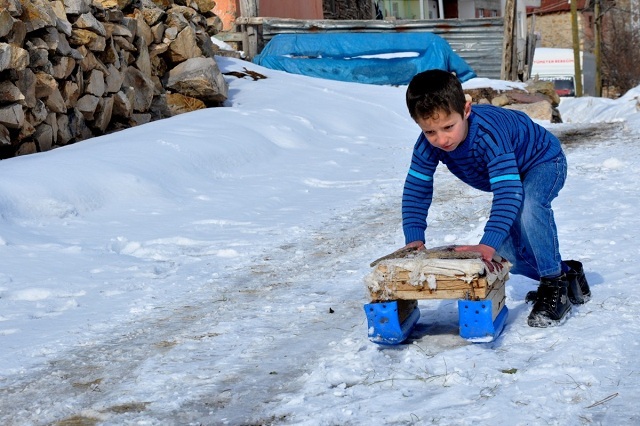 You go ahead and take the offbeat path when you visit Turkey in winter. Here is some reason why Turkey is better in the winter. Scenic Views: Most people envision Turkey as a destination bustling with rocky beaches, rustic-chic villages, breathtaking beautiful streets and endless sunshine but the place has many other good sides. Winter season hits the country with heavy snow. The experience is not less than a magic. All you get to witness is an absolutely serene and peaceful ancient land completely bereft of people and landscape adorned with fresh and soft snow. It is quieter: with Turkey being such a popular holiday destination, summers there can get pretty busy. Booking a winter sun holiday in Turkey you’ll have all the hotspots to yourself. Beaches will be much quieter and you’ll be able to get the great photos of all the best attractions as there won’t be big crowds like there are in summer. Ancient ruins such as the impressive Ephesus should be explored in winter. Cheaper rate: Nothing like a cheap getaway. Travelling off season screams nothing but discounts, discounts and only discounts. During winter the rates are incredibly cheap. Hotels rates are discounted, restaurants are significantly cheaper and there are cracking deals on Turkey winters tours and activities. Travelling can’t get any better than this. Crowd: If there is one thing that most people hate when travelling, it’s the crowd. They love to travel and see the world without the crowds. If you want to travel without the large crowds of people and tourists then Turkey is the perfect location for you in winters. No crowds of annoying people, No cruses. Turkey is less busy and no waiting in lines during winter. Amazing Ski Resorts: you an adventure lover and want to indulge in skiing then Turkey in winter is a good choice for you. Going all the way to Switzerland when you have equally breathtaking ski resorts in Turkey is no point. The soaring Turkish mountains are speckled with magnificent resorts. Depending on your location and skiing preferences there are an array of ski resorts you can visit including Uludag, kartepe, Palamdoken and many more. There are amazing ski resort in Uludag, Izmit and Palamdoken. It’s relaxing: winter temperature in Turkey is still quite mild. But if it does ever get a little chilly then go and warm up in a Luxurious spa? Going all the way to Turkey without being treated to an unforgettable Turkish bath and losing yourself in a sea of foamy bubbles will be injustice done to you. It’s popular and traditional experience over there and is the perfect way to chill out and unwind, even more so if you follow it up with a relaxing massage. Winter season in eyTurkey (December, January and February) can be chill, rainy and snowy with occasional cold but sunny days. Everywhere except the southeast which remains temperate but lower prices and fewer tours are compensations. We hope Turkey has changed your perception and the next time instead of Bahamas or Indies you will pack heavy and go off to Turkey during winters.